The RX100 has a lot to live up to given that you can buy plenty of decent interchangeable lens cameras for the same price. Thing is, those cameras don't fit into a pocket and can't be whipped out at a moment's notice–this Cyber-shot can. 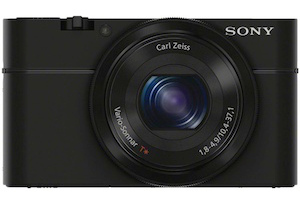 Sporting an excellent f/1.8 Carl Zeiss lens and a big 20.2MP sensor, the RX100 produces images that will change what you think is possible with a compact camera. It performs well in all conditions even when light is harsh or low and is fast on the trigger. Article states at is 7.5 lb. . Is that correct?